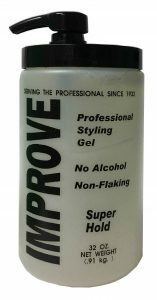 Styling Gels & Lotions – Gabel's Cosmetics Inc.
Super hold formula, no alochol, no flaking. Available in 16oz, 8 lbs. Professional quality gels. Gabel’s was one of the first manufacturers of gel products with over 30 years of experience. 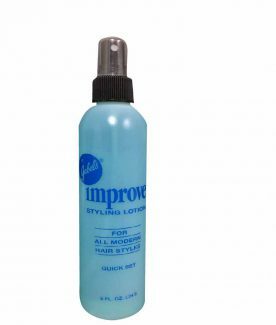 Keeps hair smartly groomed all day. 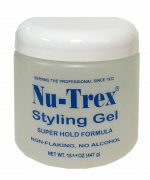 The clarity of the gel amplifies the widest range of natural hair colors, giving hair a healthy appearance. NO ALCOHOL. 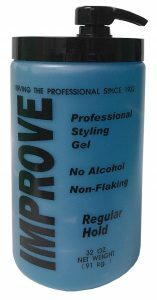 Available in Regular Hold (Blue) and Super Hold (Clear) / 16oz, 32oz, 8 lbs. 32oz has a choice of Pump cap.